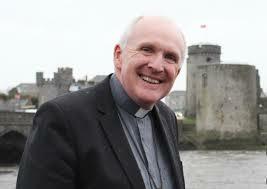 Today we are launching the Limerick Diocesan Synod and commissioning Delegates to it. It is a significant day in the life of the Diocese. Our liturgy seems just tailor-made for the occasion. The Gospel presents the figure of John the Baptist. At the time of John the Baptist, Jesus’ cousin, there was a sense of spiritual wilderness creeping into the people of Israel. It was something they had experienced before and were now witnessing again. Precisely at that time, John the Baptist was chosen to be the instrument in the hands of God to prepare the way of Jesus. We can see that God made himself ‘need’ John the Baptist to prepare for his coming. God is indeed the shepherd who feeds his flock and leads them but he makes himself dependent on us; he makes himself need our help. Indeed, we can say that God is the expert of doing things not on his own but ‘together’ with others. Just as in the case of John the Baptist, God counts on the contribution of each one of us too to prepare the way for his Son Jesus Christ to be seen, heard and encountered again in our world, in our country, and in our diocese. We too are living in a spiritual wilderness of sorts – we’ve been through difficult and confusing times in the Church; there have been many cultural and social changes in recent years; the shape of our Church’s structures are in transition; we’ve seen internal divisions among us and we know that young people often don’t find what they are looking for in the Church as we present it today. The 2016 Synod will effectively be the moment to draw up new plans for our diocese so that it is ready for what I believe can be a new dawn breaking for the Church, a dawn we will all greet together. Sisters and brothers gathered here in St. John’s Cathedral today, especially those of you who are being commissioned as Delegates to the Synod, let’s learn from the figure of John the Baptist. He didn’t focus on himself; he was humble; he was full of hope in Jesus’ gift of the Holy Spirit and looked forward to the new dawn. He didn’t focus on himself. He wanted to help others turn around, turn away from sin and put god in the first place in their lives. You too will now go out to help one another and others to prepare the way of Our Lord Jesus Christ. There will be many paths to be made straight – paths of wounded hearts; paths of confused minds; paths of disappointed spirits; paths of rejected outreach. Through listening with your hearts full of mercy and patience, you can transform crooked pathways into opportunities to show something new is happening; Jesus is coming in a new way to heal wounds, bring light and clarity, sow seeds of hope and mercy. John the Baptist was humble. In his day, undoing the straps of someone’s sandals was considered the most menial of jobs fit only for slaves. John the Baptist didn’t even see himself fit to undo the strap of Jesus’ sandals. This reveals something of the humility of his soul. To be humble is to consider others as greater than ourselves, as St. Paul tells us. John the Baptist lived this out in his relationship with Jesus. But each of us can consider others greater than ourselves in the sense that in each neighbour we meet we are encountering Jesus in that neighbour. It will be important for us to be humble and approach our Synod in a spirit of serving |Jesus in our neighbour. John the Baptist was a man of hope, believing in a better future and in the work of the Holy Spirit. He pointed out that Jesus would baptise us with the Holy Spirit. For us too, we can say that the Jesus who wants to come in a new way among us brings the Holy Spirit in abundance. So there’s no need to be afraid or downhearted about the future. As Pope Francis puts it, let’s not say our times are harder than previous times; they are just different. Mary, the mother of Jesus, the ‘undoer of knots’ was always full of hope. As the Second Reading reminds us, with the Lord ‘a day’ can mean a thousand years, and a thousand years is like a day. he can act much faster than we might think if we let him. In a moment, we will be commissioning the Delegates to the Synod. As we set off on our Synodal journey, the Delegates will declare publically before us all, their intention to live their Baptismal vocation with renewed faith, hope and love. Above all, they will promise to love one another as Our Lord has taught us in giving us the New Commandment: “A new commandment I give you: love one another”. Let’s all join with them as they make this commitment, promising to share each other’s joys and sufferings, giving our lives out of love for one another. We can take it as a form of pact that binds us together in a new way preparing the way of the Lord who is coming to dwell among us anew. Next Article Christmas in Maiden Street – ‘in the good old days’!